A country's highest court does not have real power to enforce its rulings. It must rely on the other branches of government to carry out the laws, to stop acting when ordered to stop, to free who should be freed, and to otherwise do what the court orders. A court has no army; it has no police force; it has no ability to do more than issue orders, rulings and decrees. What a court possesses is legal and moral authority derived from a country's constitution. If a court squanders that authority by issuing controversial decisions where it did not need to do so, it risks much of the underpinnings of the rule of law. I am not saying a country's highest court should not issue controversial decisions. That can be its most important role. But to make sure those controversial decisions are complied with, the court needs to be prudential about when and how often it rules. Courts need to be wise in how they utilize their power. A court may need to abstain from stepping into some disputes which are better left to the legislative process. A court may need to acknowledge that the executive branch is more expert than the court in certain matters. SITRAMMS is a publicly run mass transit bus system which operates modern buses in a series of dedicated lanes down a major thoroughfare of the greater San Salvador metropolitan area. Wading into the thicket of San Salvador's horrible traffic congestion, the Constitutional Chamber issued its injunction requiring the dedicated lanes be open to all of the San Salvador area's crazy traffic. I have read the court's decision and can understand the legal reasoning. The court found that the appropriate process was not followed in awarding the concession to operate the bus system on an exclusive public right of way. 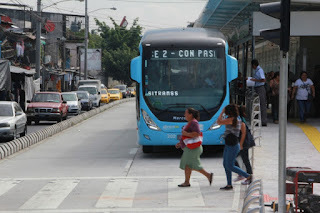 While I can't comment on the legal correctness of that conclusion as a matter of Salvadoran law, I am able to see the practical effects both on mass transit in San Salvador and on the public perception of the court's authority. Those effects are the frustration of the one modern mass transit project in El Salvador and a travelling public which is quite upset about it. (Reading between the lines of the Chamber's decision, I can also put some of the blame on the president's lawyers. The FMLN administration apparently filed briefs attacking the partiality and competency of the very magistrates who were going to decide their case. That's never a good tactical decision if you want to win the case). So while I will not attack the magistrates of the Constitutional Chamber personally by claiming they have improper partisan or political motives, I certainly wish they would act more prudentially. The Chamber has issued important rulings in the past seven years which have strengthened El Salvador's democracy, including the nullification of the 1993 Amnesty Law. It would be a shame if those decisions lose some of their credibility and force because the Chamber decided to issue one too many decisions in areas where it did not need to go. TOTALLY AGREE! 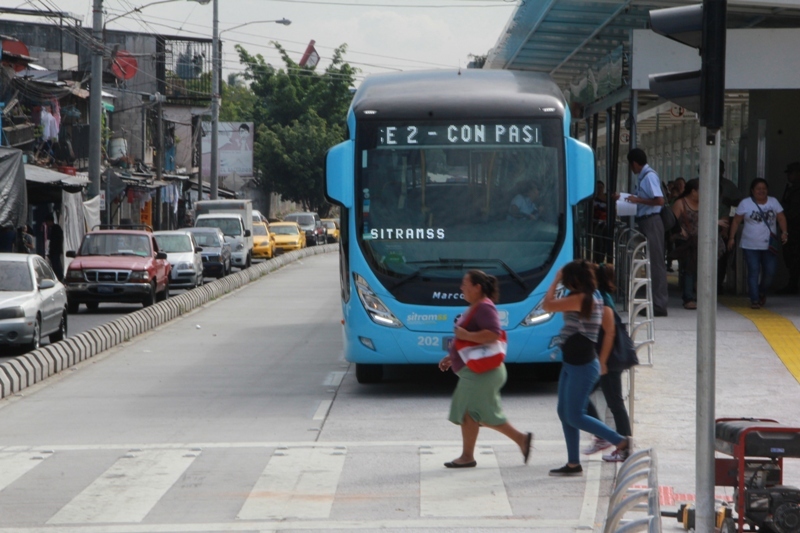 I have applauded this Court for its willingness to wake up from the judicial slumber of Salvadoran history, but ... what business does the Constitutional Chamber have deciding which lane the bus goes on? ?